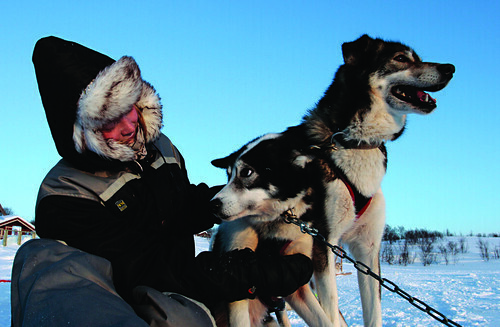 After meeting your dog team, you will set off on a 30km trip into Europe's last wilderness - following the same tracks as the famous Finnmark Dog Race. Hurtigruten's seven day 'Classic Voyage North' from Bergen up to Kirkenes currently costs £889 per person departing on a choice of dates in January 2015 (Including the departure on 13 January on the MS Richard With). The price is based on two people sharing an inside cabin on full board basis.